Home » Bouncy Box » [ BOUNCY BOX! ] Instant Win a Digital Video Record Baby Monitor!!! Eligibility: NO PURCHASE NECESSARY. Must be 18+. Every 17,000th eligible entry will win, 3 winners. 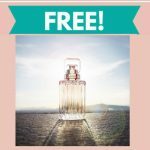 Free Sample of Cartier Carat Perfume !